This video is about my first trip to the USA from India. 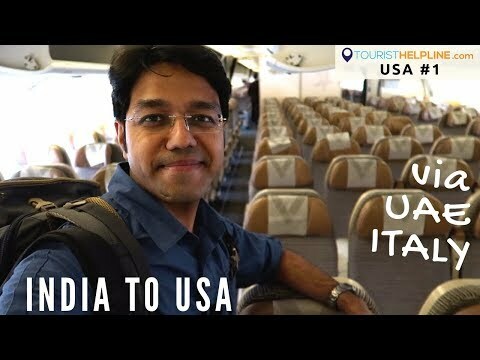 After watching this, you will get to know about the flights I took from India to USA. Also, I have shared the experience I had at the Abu Dhabi AIrport and Rome Airport. I travelled on Jet Airways from Delhi to Abu Dhabi and Etihad Airlines from Abu Dhabi to Rome. After that, I took Al Italia Airlines from Rome to reach Boston's Logan Airport in the USA. I will share more information about how to get cheap flights from India to America and details on how to get the US visa from India. Artist: http://www.twinmusicom.org/ & http://audionautix.com/ respectively.